Story Contracting won the ‘Most Interesting Original Design’ award for the new rail connection to Arcow Quarry project last week. 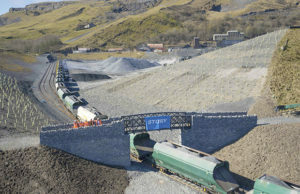 Working alongside Network Rail and Babcock, the £6million scheme to reconnect Tarmac’s Yorkshire Dales quarry with the national rail network for the first time in 50 years will take 16,000 lorries off the roads each year. Story Contracting provided the design and implementation of the track and civils works. 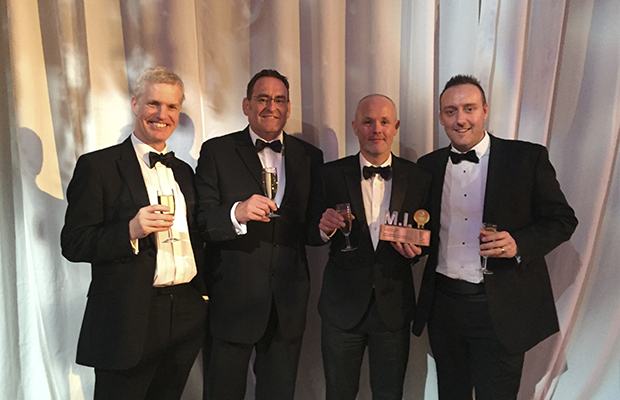 “Story Contracting are delighted to win the ‘Most Interesting Original Design’ award for the complex project, Arcow Quarry, which we recently delivered for Tarmac. In helping us secure this award special thanks must go to our design partners, SNC Lavalin and in particular AECOM’s Ground Engineering team whose work to ensure we could use site quarried materials reduced both cost and the environmental impact associated with road delivery. 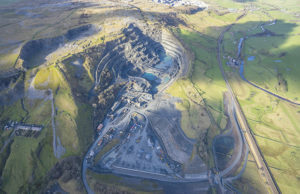 To read more about our Arcow Quarry project please click here. The Rail Exec Most Interesting awards were held at The Roundhouse, Derby on 1st December. Story Contracting were also shortlisted for two more project awards, Stirling Station and Eden Brows.